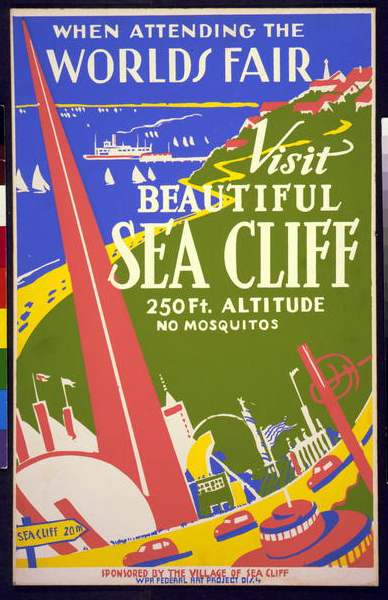 Title: When attending the World's Fair, visit beautiful Sea Cliff 250 ft. altitude : No mosquitos. Summary: Poster promoting Sea Cliff, Long Island for tourism, showing seacoast with cliffs, road, and New York World's Fair buildings. Date stamped on verso: Feb 2 1939. Sponsored by the village of Sea Cliff.